What will happen if hackers will hit critical infrastructure in the US, which will be the economic impact of a cyber attackagainst a power grid? According to a poll done byMorning Consult firm, cyber attacks are just behind terrorism attacks on the list of biggest threats to US, it has been estimated that the insurance industry could face losses of about $21 billion.That poll was conducted in the period from May 29 and May 31 by interviewing a national sample of 2,173 registered voters. Nearly36 percent of voters consider acts of terrorism atop a list of major security threats, followed by cyber attacks at 32 percent. 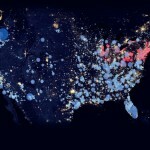 As reported in the “Business Blackout“, a joint report by Lloyd’s and the University of Cambridge’s Centre for Risk Studies, the insurance implications of a cyber attack on the US power grid could have a catastrophic impact.